During my recent trip to Dublin I visited the Irish Writer’s Museum. This is a museum that has taken the route of the audio guide and visitors listen, pause and move on through the exhibits and photographs in two rooms. This caused a great deal of “what number are you on?” and “are you on number four yet?” from our party as we tried and failed to synchronise. Anyway, the great canon of Irish writers are covered, notably Swift, Joyce, Beckett and Wilde, with plenty of others who you might be forgiven for forgetting they were from Ireland, for example Bram Stoker and Sheridan Le Fanu. Amongst the usual yellow theatre programmes and first editions you’d expect to find are a few stranger artefacts associated with the writers. Whilst Brendan Behan’s typewriter is excusable, I found the inclusion of several pairs of glasses belonging to various authors silly, and Samuel Beckett’s telephone – fixed up to block incoming calls from unwelcome callers whenever he wished – was probably the most ridiculous exhibit. Okay, so Beckett was the shy and retiring type. So what? As an aside – this got me thinking. What exactly do you put on show in a museum dedicated to writers? Especially when early editions of their famous works are not available. If the Irish Writer’s Museum opens a third room to bring us up to date, I would expect no less than Roddy Doyle’s modem or Seamus Heaney’s Blackberry. Just a thought. Thankfully I wasn’t put off by the rather scathing review in my copy of The Rough Guide to Ireland (they don’t share my sense of humour). I found the museum very interesting, the staff friendly and helpful and the cafe and bookshop irresistible. 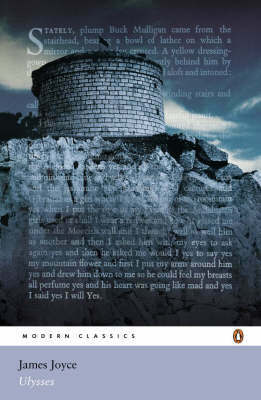 I came away with a copy of In a Glass Darkly by Sheridan Le Fanu, an Irish writer don’t you know? I avoided the Samuel Beckett fridge magnets though. The poor man must be turning in his grave. -Do you pay rent for this tower? -Twelve quid, Buck Mulligan said. -To the secretary of state for war, Stephen added over his shoulder. -Rather bleak in wintertime, I should say. Martello you call it? Saturday 16th June was both my birthday and Bloomsday, the annual celebration of James Joyce in Dublin. As I was in town for the weekend I had the idea of heading over to Sandycove on Saturday. This is the location of the legendary Martello Tower, setting for the opening scenes of Ulysses and now home to the James Joyce Museum. It wasn’t easy getting my family to agree wholeheartedly to this. I’d already subjected them to a literary themed weekend with a visit to the Irish Writer’s Museum, and after my wife in turn had taken us to the Lucien Freud exhibition I sensed cultural fatigue. And Sandycove was half an hour away by train. It was also raining. But after only minor remonstrance from my daughter and my stressing that we were going to see a castle we set off. Coming out of Sandycove station it wasn’t difficult to find the way to go. I’d already spotted other literary pilgrims stepping off the train and then noticed a general hubbub in the village. People dressed in striped blazers and boaters, generally red faced and tipsy. Many were clambering on and off an old tram, some with glasses of wine as they posed drunkenly for photos. We left the merrymaking in search of the Martello Tower, conscious of its closing time and the prospect of a wasted trip. A ten minute walk along the coast of Dublin Bay, the building is instantly recognisable and we hurried towards it, noticing that the sea might not be as snotgreen as Joyce describes it although the shore was indeed strange, awash with alien jellyfish and cautious scuba divers. Inside, we were ushered to the top of the tower to catch the last of the day’s readings. And very charming they were too. At the top, I looked out at Sandycove in the rain and then behind me at the sea which, although uninviting, was full of several brave swimmers reenacting Buck Mulligan’s dip from the opening of the novel. Taking in the panoramic view, I almost wished I’d brought my shaving things with me to enter the spirit of the occasion. Inside, there are a few exhibits to mark the building’s association with Ulysses and Joyce’s own brief stay there, cut short following an incident involving his friend Oliver Gogarty, a gun and a dream about a panther. We also saw a tie given to Joyce by Samuel Beckett (or possibly the other way round), a guitar and various other random artifacts from the writer’s life. There is a first edition of Ulysses and also the famed edition with illustrations by Matisse. Although too small for a real castle, my daughter still really enjoyed the trip, clambering up and down the thin, winding staircase and spotting the model panther. The James Joyce Museum is a charming place to visit, and – in this era of vacuous celebrity – I cannot fail to be excited by the fact that people are running around in Dublin and celebrating a book. Back in Sandycove village, I was keen to join in the merrymaking. After all it was my birthday, and I wanted to test the theory that the Guinness in Dublin was the best in the world. When you’re surrounded by Joyce fans staggering backwards and forwards, their straw boaters now at a hilariously jaunty angle, it certainly is.